Accurate warehouse navigation based on optimized vehicle movement. Building blocks include a stand alone locator system. 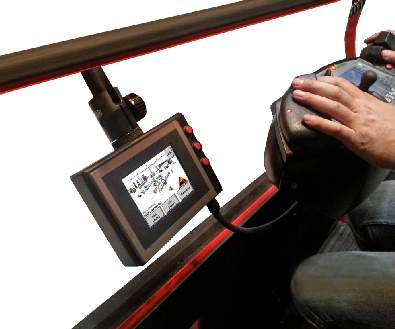 Manual task entry on the vehicle touch screen or linked to an inventory control via RF, for automatic tasking. Features include break down of individual tasks - pick / travel to / elevation / fork orientation - verified by the onboard pilot. Then deposit to destination with the same detailed instructions. Options: RFID and Bar Code verification, voice instructions, optimal transport routing (travel & height), task selection criteria - all with the goal to optimize movement and reduce errors. Of course the system can also drive the vehicle to the destination and even pick or deposit automatically - operator remains onboard to supervise and change aisles. 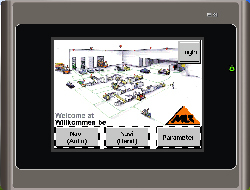 System can be integrated to existing WMS / Inventory control systems.